Why He Won: For his ability to build institutions and galavanise people for philanthropic causes. His Trigger: Believes philanthropy is a basic human duty that one needs to fulfill. His Mission: Support people and ideas that will enable the process of giving back to society. His Action Plan: Provide guidance, funds, inspire people, inculcate a value-based approach to work and life, attract like-minded people onboard organisations. There are some for whom you measure success by the profits they have brought for their corporations, the systems and processes they have set up, and the contributions they have made to balance sheets. For some others, success lies in the people and institutions they have nurtured and built, the values and principles they have instilled in those around them, and the inspiration and motivation they continue to provide in their absence. The latter is a smaller, rarer breed. And Narayanan Vaghul belongs to it. Having spent a lifetime in the banking industry, Vaghul has seen the evolution of India’s financial institutions for longer than many. He has the distinction of being the youngest chairman of a public sector bank—he was chairman of the Bank of India in 1981. He joined ICICI Limited as chairman and CEO in 1985 and was the group head till 2009. 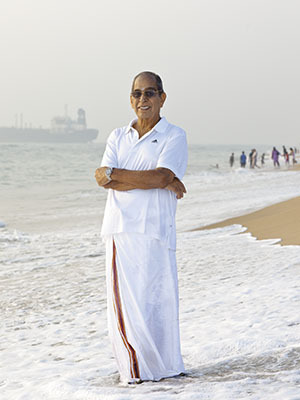 He was also the recipient of the Padma Bhushan in the Trade and Industry category in 2010. But it is not just his knowledge of the industry or its machinations that make him one of the most revered names in the institutions he has been, or continues to be, associated with. It is because of his staunch support for the things he thinks are right. Corporate philanthropy is one such thing. “If you ask him ‘Why philanthropy?’ he is not going to tell you some story about a child dying in a corner. He will say this is why humans have been created. He will say every human has been created so that he can leave the world a better place than the one in which he was born,” says K Ramkumar, executive director, ICICI Bank, who has known Vaghul for 11 years. It is this sense of duty that seems to have guided not just Vaghul himself, but all those he has supported, encouraged and inspired. Vaghul says the need for corporate philanthropy rests at different levels. At one level, “from the purely practical and logical point of view”, he believes “corporate philanthropy is very much in the interest of the corporate” as any corporation “cannot function effectively unless society is stable and coherent. 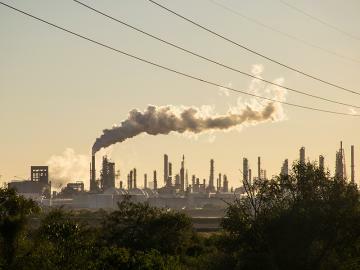 And society cannot be stable and coherent as long as there is inequality, leading to discontentment and frustration.” At another level, he believes, corporations should step in and back NGOs in achieving their objectives of addressing various problems by working with the government. Vaghul has been closely associated with the setting up and running of several philanthropic organisations—such as Pratham, GiveIndia and the Azim Premji Foundation—that work in the realm of education, health and livelihood. ICICI Bank gave GiveIndia—a platform that enables donors to identify causes and NGOs they wish to support—a seed grant of $1 million a year after it started in 2001, and Vaghul joined as its chairman on Venkat’s request. “He is highly regarded in the industry, and his coming on board ensured the credibility of the organisation. He built a really good board… many of these board members wouldn’t have known me or what I was doing. When Mr Vaghul came on board, it made all the difference. His ability to write to CEOs, his stature was such that it opened a lot of doors, and that was critical,”says Venkat. Vaghul’s ability to bring talented people into the team has been a crucial element in his ability to build and support institutions. “ICICI Bank board members have always been very independent-minded, and it made him realise two things: One, he needed to find extremely talented people to work in these organisations, and that talented people don’t work in limited command and control structures. They needed to be given room to grow, independence to think, and needed to be supported rather than be directed in a narrow way. They need a vision, an idea,” says Nachiket Mor, former chairman of the ICICI Foundation for Inclusive Growth and founder of SughaVazhu, implementers of a rural health care programme in Thanjavur, Tamil Nadu. The qualities that have inspired the psyche of generations within ICICI Bank are the same ones that have earned him reverence in the philanthropic organisations he is associated with. His manner of functioning remains consistent, whether it is within the bank, or outside it. He asks the same questions to board members, as he does to members of the philanthropic organisations he supports. And, instead of using his position of power to veto a proposition he does not entirely approve of, he makes the reasons for his discomfiture known, and lets others take the final decision. “He helps you arrive at your conclusions rather than telling you,” says GiveIndia’s Venkat. A quality of Vaghul that has been instrumental in galvanising people behind an institution or cause is his attitude towards juniors within the organisation. One of the many stories associated with the legend of Vaghul is about how he, as the chairman of ICICI Bank, was corrected by a junior member of his team when he was meeting a high-profile client.Unfazed by the junior’s action, and, in fact, correcting himself, he continued with his proposition. Later, when a surprised member of the client’s team asked him how a junior could have corrected him in a meeting, Vaghul simply said that if he needed to be corrected on something, then he should be. Yet another story that is told to youngsters at ICICI Bank’s induction programme is when, almost 30 years ago, a young man came to Vaghul with a proposal. The two had a chat and agreed on a deal. The young man then picked up his file and was about to leave, when Vaghul stopped him and asked him if he needed to sign any papers. The young man said he saw no reason for a signature as he assumed Vaghul would stick to his given word. Vaghul later said that it was a lesson he learnt in honouring one’s word without going into bureaucratic procedures. Pratham—India’s largest NGO that works towards providing education to underprivileged children in rural and urban areas—was the idea of Madhav Chavan, several years Vaghul’s junior, but one that Vaghul was quickly convinced about and has strongly supported. Initially, ICICI Bank was involved with providing funds for the initiative, but gradually Vaghul got convinced enough to get involved in other aspects, such as meeting volunteers and building the organisation. Vaghul’s way of supporting organisations and causes is a rather unemotional one. He also believes that if the giver’s name comes to be associated with the cause, he has not done his duty; one is supposed to give, but not leverage the giving. “The only quality a leader [of philanthropy] should have is love and compassion for the society and for people. He should not be working in order to become a leader,” says Vaghul. Given his association with philanthropy, one could assume that Vaghul was always inclined towards it. But he, too, has had his mentors and his inspirations. Among present day philanthropists, Vaghul is inspired by the work that Azim Premji (through the Azim Premji Foundation) and Ajay Piramal (through the Piramal Foundation) are doing. “While Azim is not spiritual, Ajay is. But this does not make any difference to their attitude towards philanthropy. They are both very self-effacing, and have enormous love and compassion for society and the people around them,” he says. He added that a research paper he was reading recently highlighted how companies that focus only on the returns they were giving to their shareholders actually fail in their objective to create wealth. He also does not believe that there is a right time to start giving. “A corporation should start giving as soon as it is formed. There is no need to wait for anything,” he says. Born in 1936, Vaghul himself grew up in an India which was just born, and was struggling to find itself. “I was in a family of 16 people. And it was quite normal for someone or the other to go hungry… I think I looked at society, and maybe even the country, as a reflection of my own family,” he says. 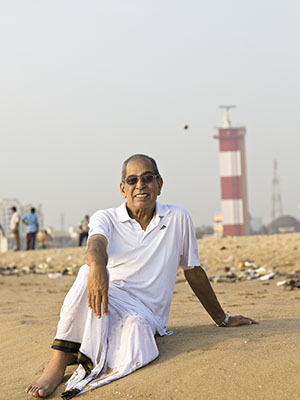 After spending more than five decades as an integral part of the country’s financial system, Vaghul can look back on a life spent laying the foundations of organisations and institutions that are poised to stand the test of time, and shall not merely be footprints on sand, washed away by the next wave that laps against them.